Everyone wants to feel appreciated, but at some point, we’ve all felt undervalued at work. Whether you are the business owner or the employee, it’s human nature to crave validation and thanks for a job well done. So if you are in a leadership position, it’s important to recognize the power of an employee recognition program that works. Employee recognition–sometimes called staff appreciation–includes all the formal and informal ways you acknowledge and celebrate the contributions your employees make to your organization. From awards and structured programs to cultivating a rich and robust culture of appreciation, employee recognition will make a difference in your business. Everyone wants to work where they feel appreciated, so when you focus on employee recognition, you improve productivity, morale, motivation, engagement, retention, and even recruiting. Although employees are more committed and work harder when they believe you appreciate their efforts, most employers put little effort into employee recognition. Even if the sentiment is there, it’s not just the thought that counts–your employees need to believe they’re appreciated. 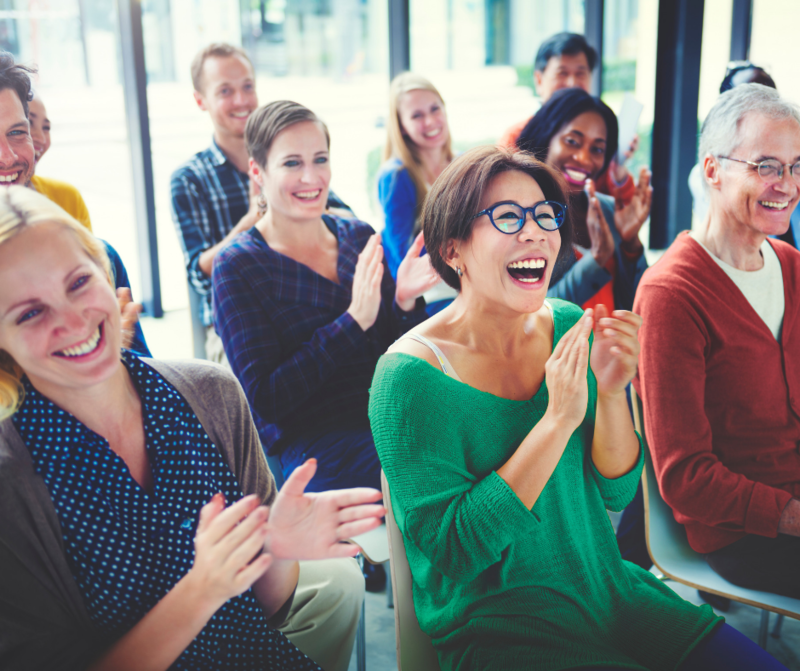 The good news is, your company’s employee recognition program can be a relatively low-cost and high-impact way to boost morale and the bottom line. The key is to think of employee recognition as constructive feedback that incentivizes positive contributions. When employees know what is expected of them, they’ll also know what it takes to not only achieve a job well done but also go above and beyond–how to meet goals and exceed them. Everything you do to promote employee recognition should be true to your company’s culture and core values. Are you a wellness company? Is your mission focused on social impact? Are you a fun brand? Outdoorsy? Family-oriented? Infuse your recognition program with what your company stands for to make the most significant impact. If you want your employees to strive for excellence, celebrate effort as well as achievement. Although certainly don’t recommend handing out participation trophies just for showing up and doing minimal work, the purpose of employee recognition is to make sure your employees feel valued, respected, and appreciated, not overwhelmed by pressure and competition. While praise from the boss is always welcomed, peer-to-peer recognition can be a powerful pick-me-up too. From executives to supervisors to the team members working alongside one another every day, equip everyone at your company with specific ways to spread gratitude and goodwill. Allow employees to send rewards to each other (think points redeemable for gifts), nominate co-workers for awards, or simply have everyone go around the room in your weekly meeting and pick a team member to “shout out” for doing something good that week. When someone does a spectacular job, gets a promotion, reaches a significant goal or milestone, or goes the extra mile, consider featuring their story at company meetings, in your internal newsletters, and on your website and social media for your customers to see. Even shyest and most humble employees will appreciate a public acknowledgment of their contributions. Maintain a running list of employee accomplishments and good deeds. Dole out recognition in real-time, repeatedly, and frequently. Don’t wait for formal performance assessments; let them know you’re watching, noticing, and grateful for their hard work. It bears repeating that people love to be recognized, acknowledged, respected, and celebrated. So make it a practice to share the cool projects and initiatives teams are working on and highlight individual contributions. Recognize the whole person, not just the worker. Acknowledge your employees’ hobbies, interests, passions, personal goals and achievements, and outside talents. Did your IT Director finally break out his old drum set and play his first gig since college? Has your receptionist self-publish a book of poetry? Did your nightshift forklift operator get a black belt in Tae Kwon Do? Does your one of your cashiers volunteer at a senior center every week? Find ways to celebrate them! Sometimes the most impactful employee recognition occurs when you actually recognize an employee’s abilities, talents, knowledge, and skills by inviting them to participate in an important project or initiative. Demonstrating your trust and confidence in them will go a long way toward inspiring confidence, commitment, and loyalty. Ask your employees how they want you to recognize them. Sometimes employers stick to the way they’ve always done it for far too long. So, your big employee appreciation day festival was a huge hit in 2008? Maybe your current employees would rather have smaller-scale more frequent gatherings in 2018 and beyond. Overall, employee recognition is not just about handing out gifts and awards; it’s about cultivating a culture of appreciation, becoming an advocate and cheerleader, and doing what you can to ensure employees want to show up and put forth their best effort every day. It doesn’t have to break the bank. If your program is effective, it’ll pay for itself and have a positive ROI. Does your organization need help developing or managing an effective employee recognition program?